WATERLOO — Many religious orders of the Catholic Church provide laypeople with an opportunity to participate in an intimate way in their order’s spirituality through what are called secular third orders. These secular orders might be considered “hidden gems” of Catholicism, since a large segment of the faithful have never heard of them and aren’t aware they exist. But these orders are not new, many of them having a founding date that goes back to the Middle Ages. The Franciscan third order, for example, was established in approximately 1221. It joined the Franciscan first order, which consisted of Franciscan priests, and the second order, which was comprised of the cloistered women religious who would come to be known as the Poor Clares. The new third order was divided into two parts — the regular third order, made up of vowed men or women living together in religious communities, and the secular third order, comprised of laypeople who continued to live in the world but adopted the charism and characteristics of the order and integrated them into their daily lives. Secular Franciscans have continued through the centuries and today have a presence in many places in the world, including in the Archdiocese of Dubuque. Individuals who join the order come from all walks of life but share a deep appreciation for Franciscan spirituality. Each potential member goes through a multi-year process of formation, in which they study and pray to discern if the order is right for them. Those who choose to join make a promise to live by the rule of the order and to strive to follow Christ in the spirit of St. Francis. Secular members of the Franciscan order belong to what are called fraternities. There are four such fraternities in the state of Iowa — St. Mary Fraternity based out of Waterloo, Holy Trinity Fraternity out of Dubuque, San Damiano Fraternity of Marshalltown, and the newly emerging The Companions of St. Francis of Des Moines. This year, St. Mary’s out of Waterloo will mark the 100th anniversary of the fraternity’s founding. Its 16 members will celebrate on Oct. 6 during the annual All Iowa Retreat, at which the four Franciscan fraternities of the state will come together at American Martyrs Retreat House (AMRH) in Cedar Falls. Barbara Brown, a longtime member of Holy Name Parish in Rockford, serves as the minister, or servant leader, of St. Mary Fraternity. Brown, a retired teacher, widow, mother and grandmother, has also been a secular Franciscan for nearly 40 years. She said the members of her fraternity gather together at AMRH for monthly meetings where they pray, enjoy fellowship and have ongoing formation in various Franciscan topics. Some members of the fraternity pray the Divine Office daily, she said, and most members, if they are able to, also volunteer in ministries in their parishes and communities. “St. Francis took the Gospels literally and followed the example of Jesus. We try to do the same,” she said. Once a week, members also use their phones, laptops and other devices to pray together the Franciscan Crown rosary, a special type of rosary that has seven decades. 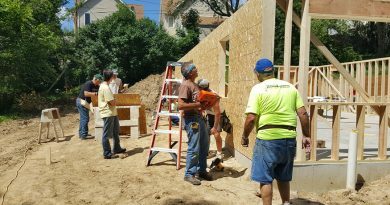 “Since our members are spread out from Cedar Rapids to Clear Lake to Oelwein, this is a good way to feel connected with each other,” Brown said. 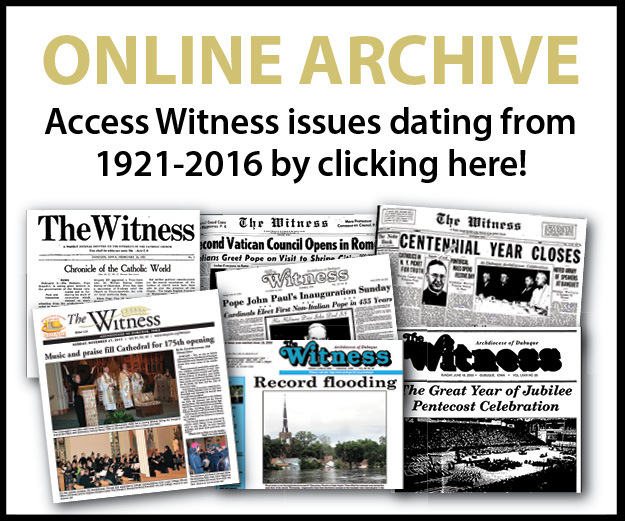 Brown’s secular Franciscans are not the only secular order that has a presence in the Archdiocese of Dubuque and the surrounding region. Just across the river from his hometown of Dubuque, James Steffens lives in southwest Wisconsin in an apartment at Sinsinawa Mound as a secular Dominican. Steffens said the Order of Preachers no longer uses the first order, second order, third order designations, and he is now referred to as a Lay Dominican. Previously, there was a Lay Dominican chapter based out of Dubuque that Steffens belonged to, but that was dissolved in 2016. 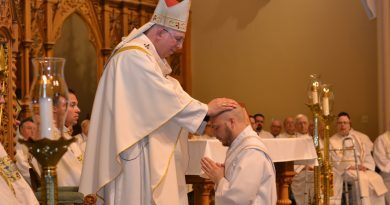 Since then, Steffens and other former members in Dubuque and Iowa City continue to be private members of the Dominican order. The 78-year-old Steffens is a single layperson and a retired certified registered nurse-anesthetist and Army Reserve lieutenant colonel. He has been a secular Dominican for nearly 60 years. “I joined the third order right out of high school — Dubuque Senior — and was professed May 25, 1959,” he reflected. The Discalced Carmelites are another of the religious orders with a local lay presence. Secular members of the Discalced Carmelites are part of the Carmelite family of the 16th-century reform of St. Teresa of Jesus (also known as Teresa of Avila). 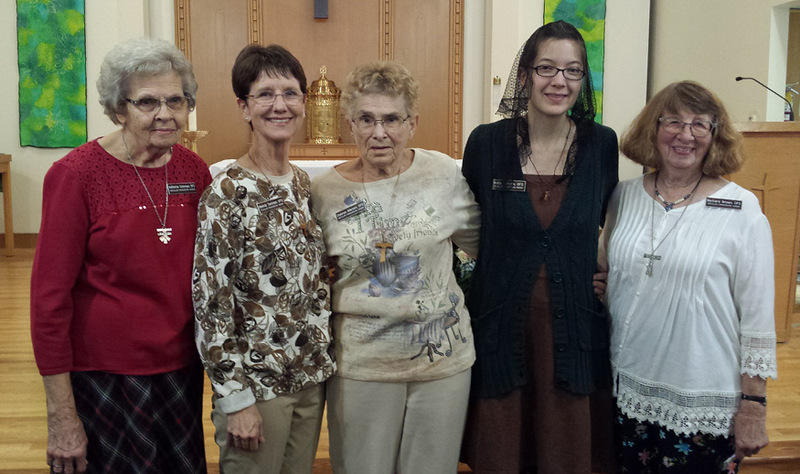 The St. Teresa of Jesus OCDS Community is a secular Discalced Carmelite community based out of Cedar Rapids. 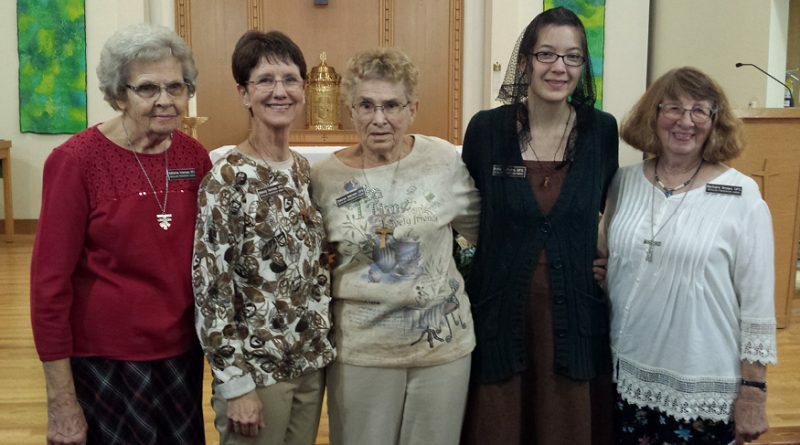 McElliott, who is married and a retired teacher and HR director, is one of 16 of the lay members of her Discalced Carmelite community, which was canonically established in 2004. 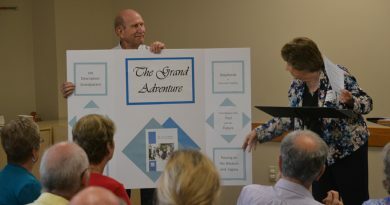 Members attend monthly meetings at St. Pius X Parish in Cedar Rapids where they study the works of Carmelite saints under the guidance of a local priest. She became a secular Discalced Carmelite, McElliott said, because she was drawn to the order’s charism of prayer and had a deep desire to grow closer to God. Looking back now 19 years later, McElliott said being part of the order has had a tremendous impact on her faith journey. “My spiritual life has been guided, deepened, enhanced and enlivened by Carmelite spirituality,” she said.